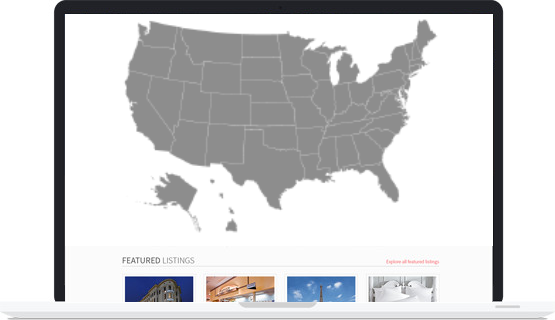 Enhance your Homepage’s layout by adding a Map based search feature to your eDirectory’s homepage to drive users to seamlessly navigate through your site by location. The Browse by Map module provides your site visitors with the ability to select a country and, subsequently, a state from a graphical representation of your site’s locations in the form of a map on the homepage of your site. Once the site visitor selects the location from the map, eDirectory will hone in to the listing module’s results page for the specific location selected.